The Short Version: Anna wakes up in a strange room, unable to figure out where she is or why she’s there. As she begins to explore her surroundings, so too do you, Player249 – the mystery of Device 6 is one you have to figure out for yourself as well. The Review: I wasn’t sure, at first, if this would be a reviewable story. 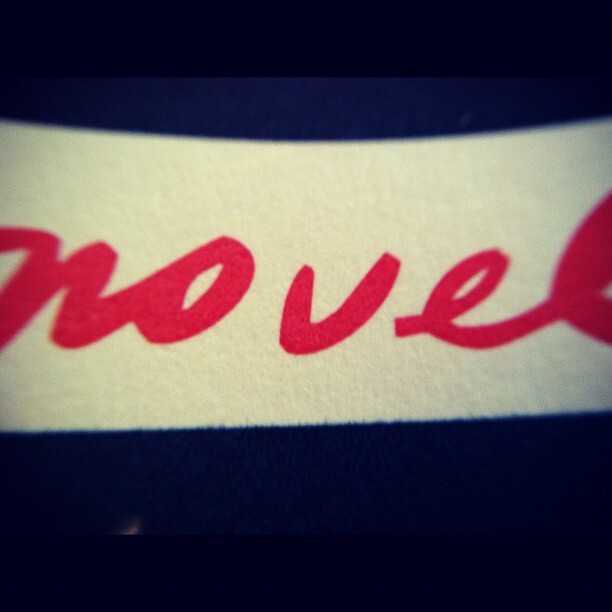 After all, I’m not yet positive that apps could be considered ‘novels’ – or at least, I wasn’t positive for a while. Last year’s release of The Silent History sent me reeling in terms of how a story could be delivered – but there wasn’t really a game aspect to the novel. The closest you got was the gimmick of reading the field reports on location – but, again, it wasn’t a game. It was, very clearly and very specifically, a novel – just a novel in app form. Simogo, however, takes us to the next level in a way: delivering both game and novel at the same time. Although calling it a novel may be a little generous – it’s more of a novella or really a short story in terms of time commitment. But we’ll get to that. This is a text-based game, in the old sense: you follow words and read a story in order to progress the action. We begin with Anna, our heroine, waking up… somewhere. Somewhen. The calendar says 1946, but she’s pretty sure it’s later than that. There are strange dolls and devices and things… and as you read, spinning your phone/tablet and swiping and scrolling depending on how the motion in the text implies… you’re pulled into the story in a way that you honestly don’t get with a regular novel. Because you are forced to interact with the text. As a spiral staircase winds up, you swipe up and the text unspirals along the staircase. As you turn a corner, so too do you turn your device. It’s devilish, simple, and simply devilish. Then there are the puzzles. All of them are based on what you’ve read (or seen) earlier and all of them can be solved within minutes – the entire “reading” experience took about two hours – and they feel much like (as overused as this analogy is) Myst-esque puzzles. But they force you to think – seriously think – and they also force you to revisit the text that’s scrolled by thus far. You get to go back through the story and find things you missed. Or revisit things you’ve seen several times already (like those spooooooky sheep, man). But they also (they being Simogo), knowing that you’re going to be swiping back and forth through each chapter, ensure that you won’t get bored by adding little atmospheric touches. In one chapter, a song starts in one room – and then as you wander around back and forth between the various rooms, you can hear it at varying degrees of loudness as it continues to play. Ringing from one direction or another will queue you to look back through the text in said direction or the other. It’s little things like that – details, as it were – that make the experience of this novel-game so much more exciting than it could’ve been. As for the story itself, there’s a bit of “The Most Dangerous Game”, a bit of 1984, a bit of several ’60s/’70s mystery-adventure stories (The Avengers spring to mind with the be-bowlered dudes, as do the works of René Magritte) as well as the mysteries of Agatha Christie. There’s a lot of influence here and – I’ll admit – at times the influence threatens to overwhelm the present-tense action. The speed at which your eye traverses the screen versus traversing the page is different, inherently. The distraction of “ooh, where does that little arrow go?” sends you away from the ‘main’ narrative and while you’ll come back to it… there’s a sort of multi-layered present happening that gets a little confusing. Well, not confusing – but it isn’t quite the straight-line narrative (or even the multi-layered twisting narrative) one experiences when getting the traditional experience. It takes some adjusting. But the end of the story – simple and surprising – is a moment of beauty that you rather want to replay. Of course, as with any book, the only way to truly re-experience is to start it over again from the top. The inability to flip back to other chapters is a strong choice (and more game-like) by the makers – but I don’t have a positive/negative feeling about it, per se, considering how quickly the story goes (especially if you write the hints down). Rating: 4.5 out of 5. I only dock it from a perfect score because I wanted more. People talk about this as a game/novel and the idea of a novel-length game… that’s truly impressive. You could have something incredible and completely immersive at a level beyond what anyone has ever experienced. With the YYYHHHQQQ guys turning The Silent History into a proper novel (coming out from FSG Originals later this year), there’s a definite window for a novel-length app-delivered experience. Something inherently linked to the device in your hand, that can’t be replicated anywhere else. I’m not a proponent of losing the written word or the physical book – but this is a damn good way to augment (get it?) that reading experience. It’s a steal at twice the price.